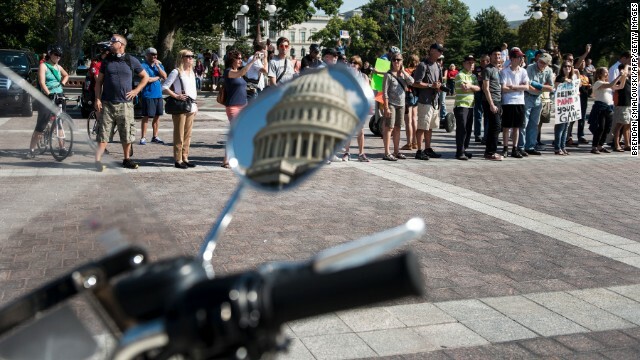 (CNN) – While the White House vows it doesn't want to set a precedent negotiating policy proposals to be included in a debt ceiling increase — calling it extortion - there have been discussions in the past surrounding such a hike and Congress has attached other issues to raising the limit a number of times. The House and Senate, in November 1989, agreed as part of a debt ceiling increase to repeal a tax rule approved three years earlier barring discrimination in employer-paid health insurance plans. CNN's GUT CHECK | for October 7, 2013 | 5 p.m.
NEW CNN/ORC POLL SHOWS BLAME ALL AROUND: Most Americans say the government shutdown is causing a crisis or major problems for the country, according to a new national poll. According to the poll, 63% of those questioned say they are angry at the Republicans for the way they have handled the shutdown. "But the Democrats are not getting off scot-free. Fifty-seven percent of Americans are also angry at the way the Democrats are dealing with the shutdown. 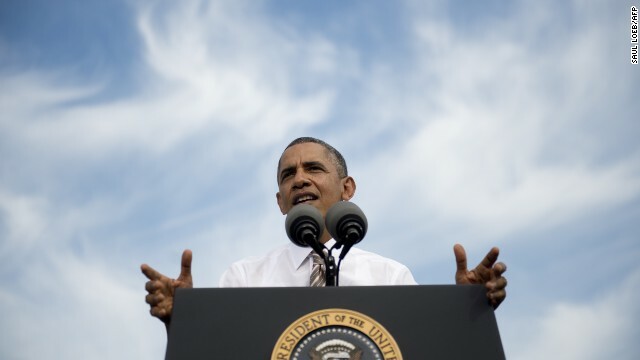 And a 53% majority say they are also angry at President Obama," says CNN Polling Director Keating Holland. "It looks like there is more than enough blame to go around and both parties are being hurt by the shutdown." 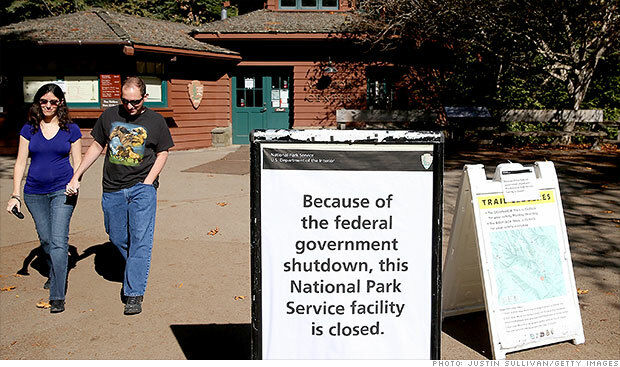 (CNNMoney) - If the week-long government shutdown stretches to a month, it would mean a $50 billion blow to the U.S. economy. 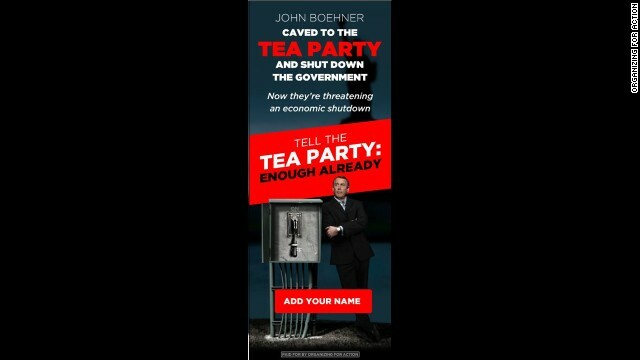 Washington (CNN) - Next up: the debt ceiling. The White House continues to issue dire warnings about the economic consequences should Congress fail to raise the debt ceiling this month. President Barack Obama told Wall Street to be "concerned" and Treasury Secretary Jack Lew said Congress is "playing with fire." (CNN) – Former bicycle executive Mary Burke announced her campaign Monday for Wisconsin governor, looking to unseat Republican Gov. Scott Walker. 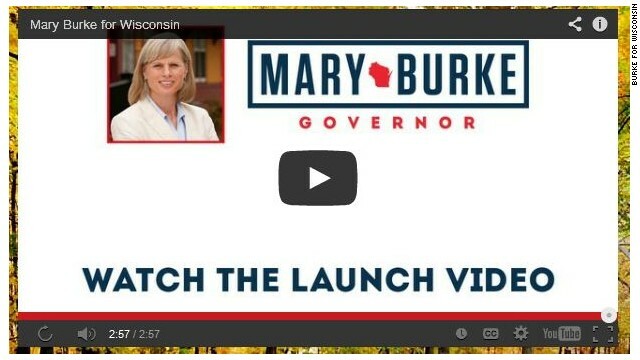 The daughter of the founder of the popular Trek bicycle company, Burke's message is one of economic development, contrasting Walker's economic leadership which she says has left Wisconsin 45th in projected job growth. 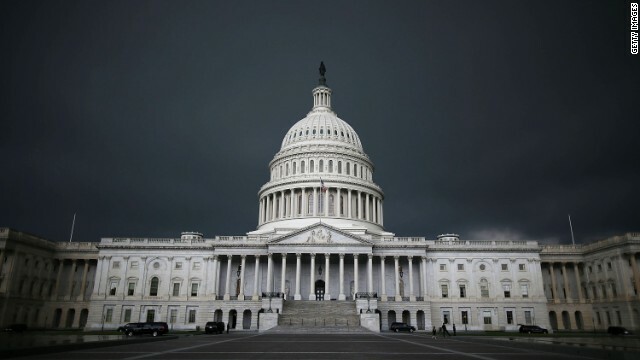 Washington (CNN) - Most Americans say the government shutdown is causing a crisis or major problems for the country, according to a new national poll. And while a CNN/ORC International survey also indicates that slightly more people are angry at Republicans than Democrats or President Barack Obama for the shutdown, it is clear that both sides are taking a hit. 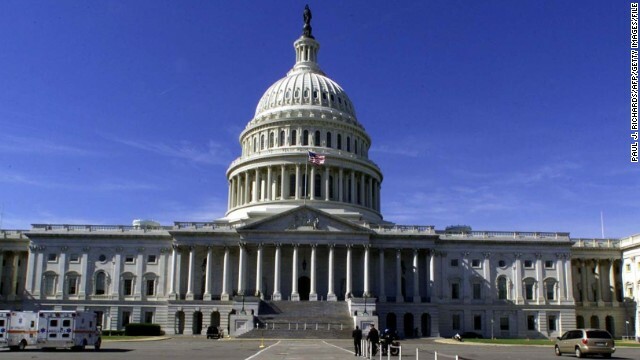 Washington (CNN) - Democrats who lead the Senate are expected this week to take up a debt ceiling bill that would not include any policy changes or spending cuts demanded by Republicans, according to a Senate Democratic leadership aide. 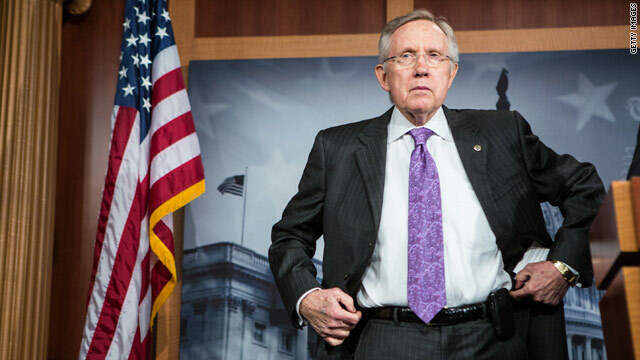 Senate Majority Leader Reid could file the so-called "clean" debt ceiling bill as early as Monday, the aide said. (CNN) - No negotiations to end shutdown – Midnight on Tuesday marks a week of the partial shutdown of the federal government and there's no end in sight. 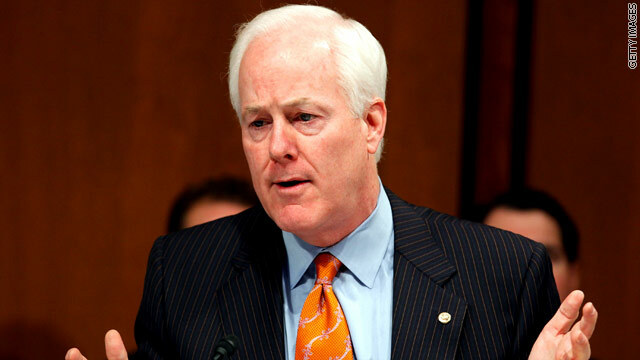 President Barack Obama continues to refuse to negotiate with Republicans. They continue to insist that any government funding bill must somehow delay, defund or otherwise disrupt his signature health reform law.